Ocean Beach is an urbanized coastal community in the City of San Diego. It contains 742 acres of medium- and low-density development, covering an area of approximately one square mile. The community is bounded by Mission Bay Park to the north, Adair Street to the south, the Pacific Ocean to the west, and Froude Street and West Point Loma Boulevard to the east. Ocean Beach—commonly referred to as “OB”—is one of the last remaining communal beach towns. It has long been recognized for its eccentric style, political awareness, and laid-back attitude. Ocean Beach was given its name in the late 1880′s by Billy Carlson. During this time Ocean Beach was a resort town. It was not until 1907 that OB became a place of residence when water, street, and telephone services were added. 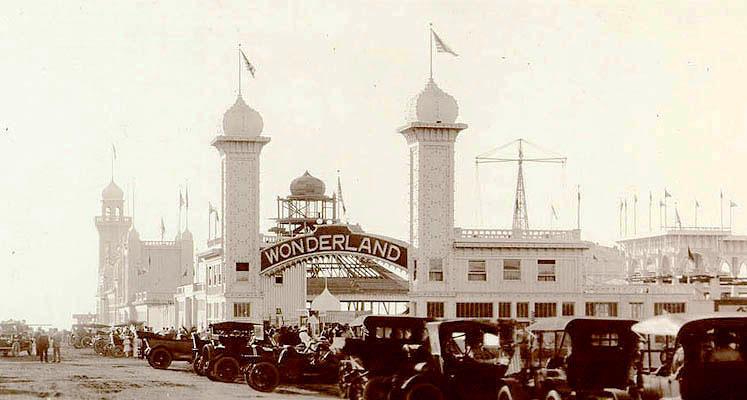 During the early 1900’s Ocean Beach had an electric trolley and the Wonderland amusement park. The park eventually washed away in 1916. Through the years Ocean Beach grew, remaining a place of political activism through the 1960s. In 1966 the community built what has remained the longest concrete pier on the West Coast, stretching over 1/3 mile from the end of Niagara Avenue. Ocean Beach, historically, has taken many measures in an effort to preserve its local style that is valued at large. In the 1970s Ocean Beach adopted one of the earliest community Precise Plans. This plan restricted the height of new developments in the area to 30 feet and prevented resort-type development. Today Ocean Beach is home to three business districts of mostly locally owned businesses, single-family and multi-unit residential properties, and the beautiful Pacific Ocean. The community contains low- to medium-density development. Representing the community, the OB Planning Board promotes adequate parking, green building, and bulk and scale towards the back of the lot. Ocean Beach serves as a great example of old values and ideas being incorporated with newer growth and development.